A couple of scary-looking Halloween Primary students from GIS. 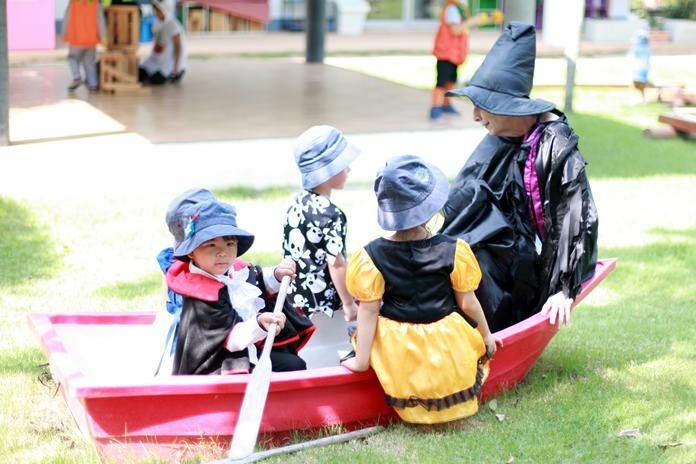 Foundation and Primary students from Garden International School (GIS) enjoyed a range of spooky activities as part of our Hallowe’en celebrations. Foundation students had a great time at a Halloween parade on October 31, with smiley witches and super-cute skeletons. After the parade the children visited the other classrooms to do Trick or Treat. 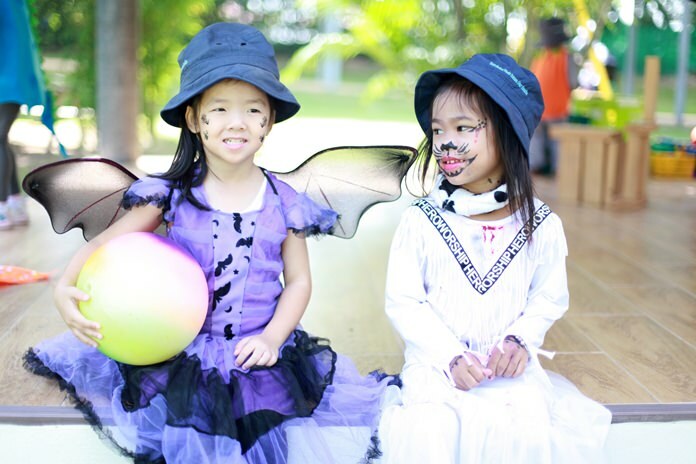 Many Secondary students, led by Prefect Mara, organised an awesome afternoon of spookiness and fun for Primary students. There was a disco, a haunted house, a selection of activities and some Halloween-based refreshments. The scariest part was probably watching the teachers’ moves on the dance floor! GIS is based in Ban Chang, near Pattaya. 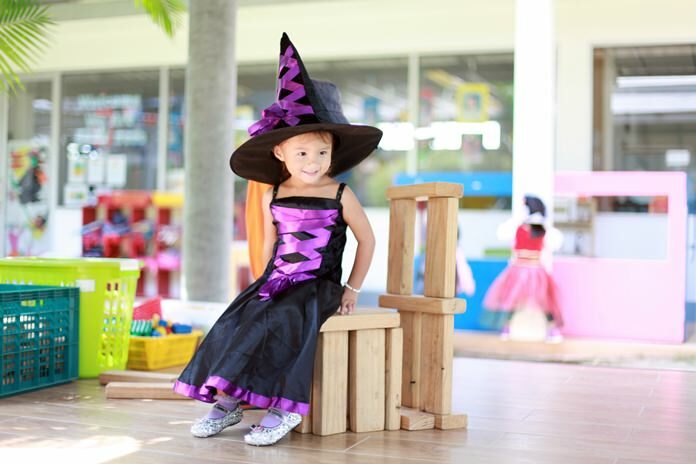 A wonderful-looking witch has fun at Halloween. Some spooky Foundation students from GIS get rowing instructions.